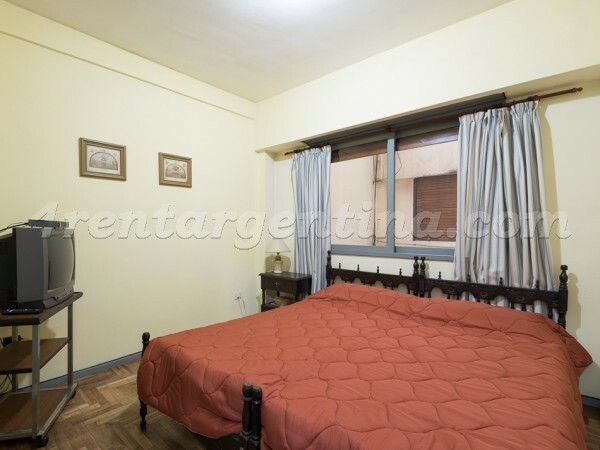 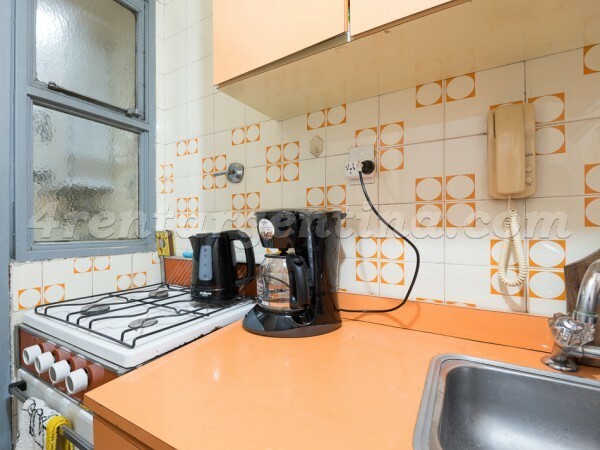 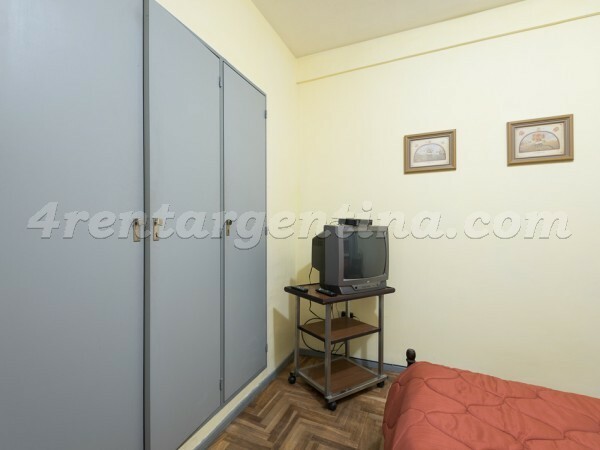 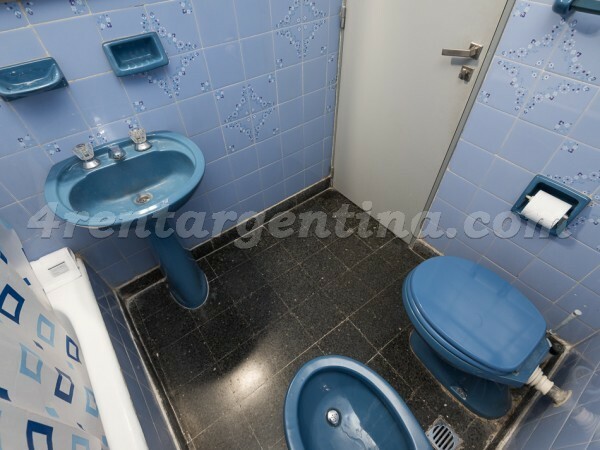 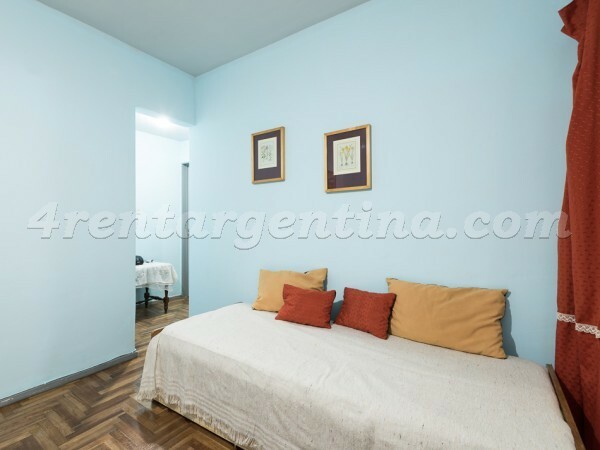 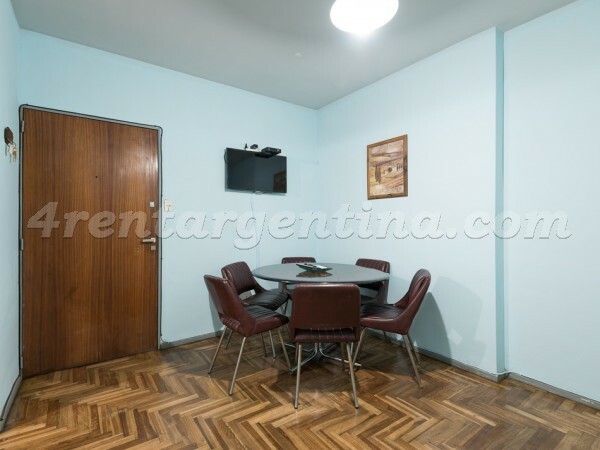 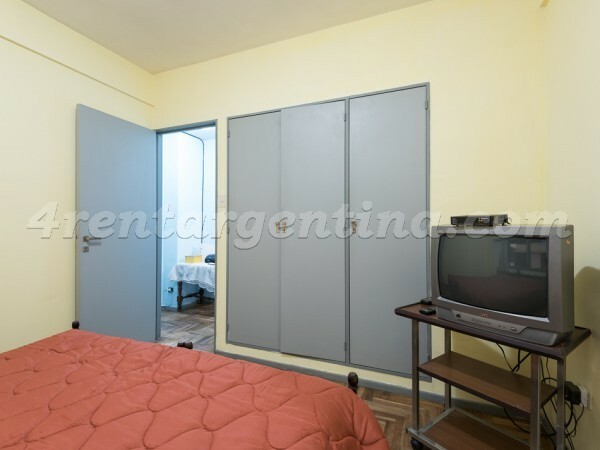 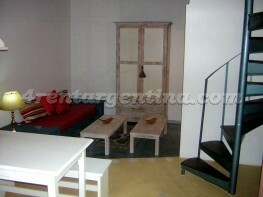 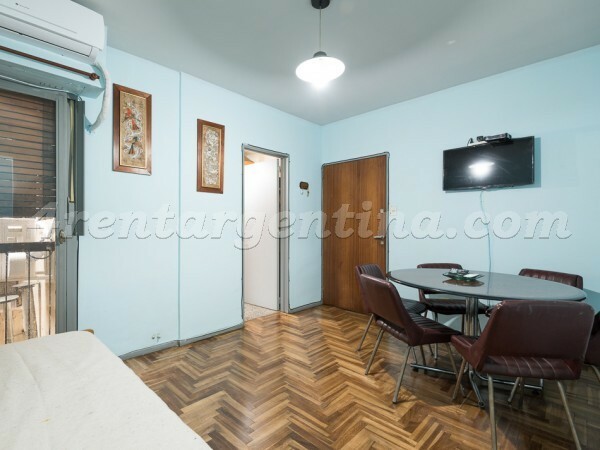 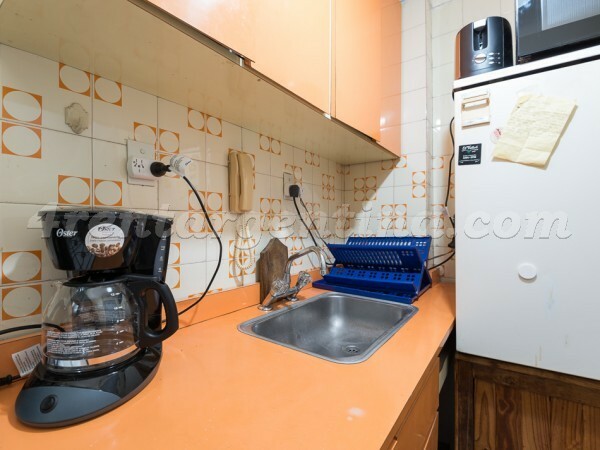 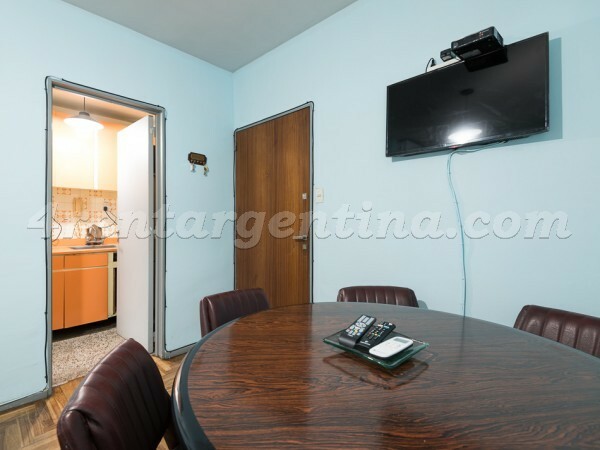 Furnished apartment with wooden floors for temporary rent in Buenos Aires, located in the neighborhood of Villa Crespo (very close to Palermo neighborhood), in an area surrounded by means of transport, shops, restaurants, and hospitals such as Hospital Italiano and Hospital Nval; comfortably located one block away from the line B subway station. 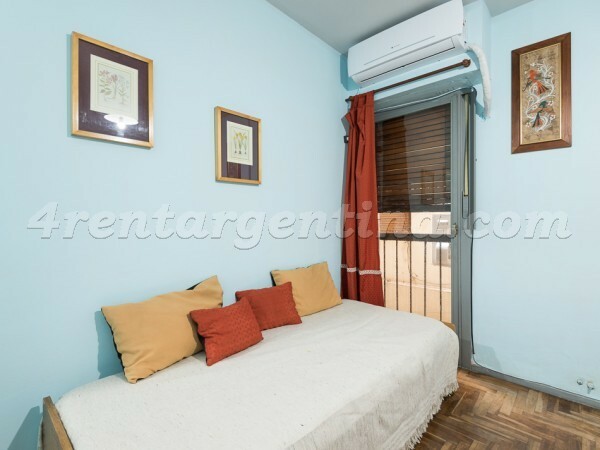 This apartment is ideal for four people, as it has a room with a double bed that can be separated to make 2 singles, and a sofa bed in the living room. 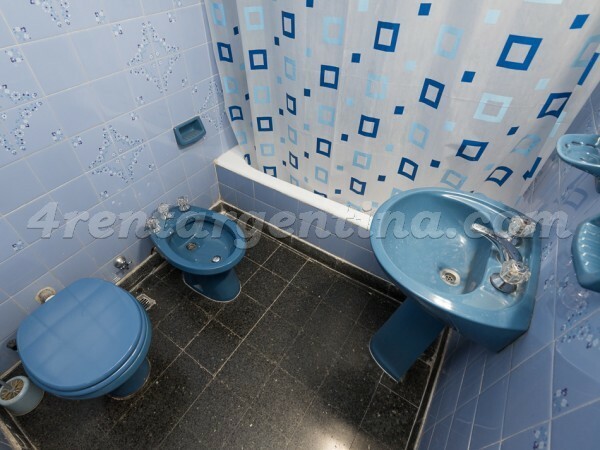 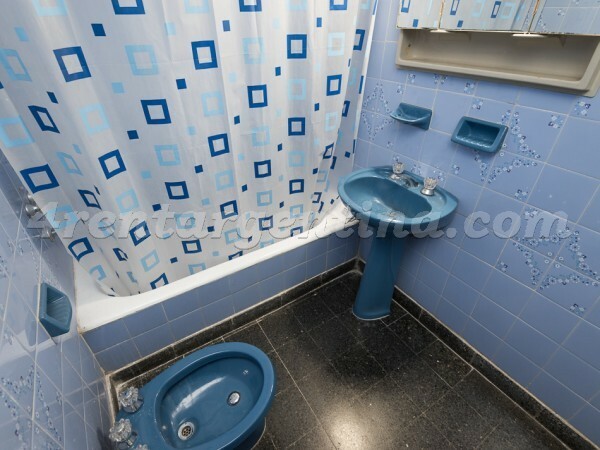 This unit has a full bathroom, with bath and bidet, a French balcony and LED TV. 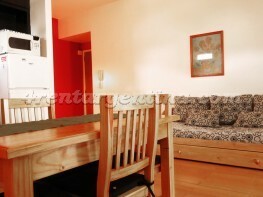 The rent includes cable TV and WIFI internet service.